Could cashier-free stores be the future of retail? Amazon's entry into the physical retail market kicked off with their first "Go" store, which launched in January. The store offered customers a completely checkout-free experience - all they had to do was enter the store, scan their Amazon app to sync their account with that shopping session and walk out of the location with any products they wanted. Though Amazon's Go store does have employees around to answer questions and ensure the security of customers, they are few and far between, and they don't serve as cashiers. Rather, Amazon's array of cameras and sensors can automatically detect what products a customer purchased and bill them later - if any items were detected in error, customers could simply remove them from their bill for a refund. 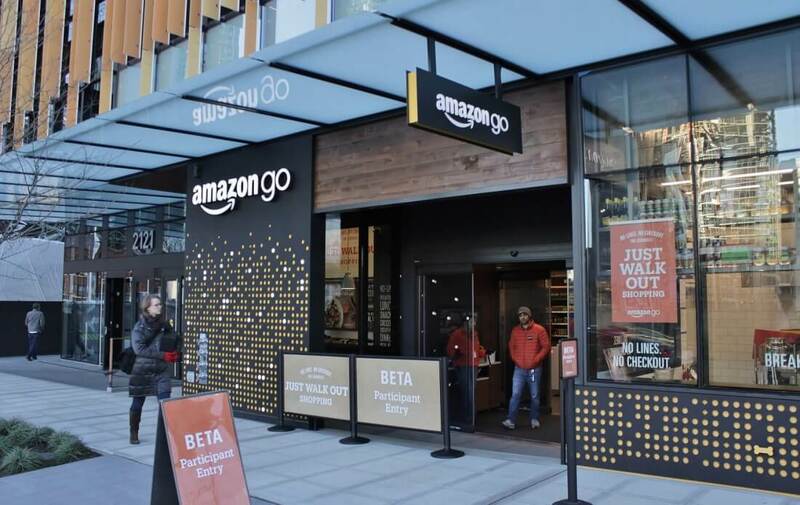 It seems Amazon's first Go store was successful enough that they've decided to open up a second location in Seattle, Washington. The grand opening kicked off today, and we now know a few details about the store. For starters, it will be roughly 1,450 square feet, which is smaller than the original store's 1,800 square feet floor plan. As TechCrunch reports, the location will only be open on weekdays from 7am to 7pm, a move Amazon hopes will appeal more to office workers than the average passerby. If previous reports are still accurate, Amazon's latest store is only the first of many they plan to launch in the coming months. Back in February, Recode said eight cashier-less stores would be opening in 2018. Whether or not those plans still hold water remains to be seen.